Slowly but surely, SETI is starting to get the picture: If we're going to find life out there—and that's a big if—it's probably not going to be biological. Writing in Acta Astronautica, SETI's Seth Shostak says that the odds likely favour detecting machine intelligences rather than "biological" life. Yay to SETI for finally figuring this out; shame on SETI for taking so long to acknowledge this. Marvin Minsky has been telling them to do so since the Byurakan SETI conference in 1971. John Elliott, a SETI research veteran based at Leeds Metropolitan University, UK, agrees. "...having now looked for signals for 50 years, SETI is going through a process of realising the way our technology is advancing is probably a good indicator of how other civilisations—if they're out there—would've progressed. Certainly what we're looking at out there is an evolutionary moving target." Both Shostak and Elliott admit that finding and decoding any eventual message from thinking machines may prove more difficult than in the "biological" case, but the idea does provide new directions to look. Shostak believes that artificially intelligent alien life would be likely to migrate to places where both matter and energy—the only things he says would be of interest to the machines—would be in plentiful supply. 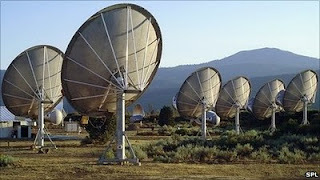 That means the SETI hunt may need to focus its attentions near hot, young stars or even near the centres of galaxies. Personally, I find that last claim to be a bit dubious. While I agree that matter and energy will be important to an advanced machine-based civilization, close proximity to the Galaxy's centre poses a new set of problems, including an increased chance of running into gamma ray bursters and black holes, not to mention the problem of heat—which for a supercomputing civilization will be extremely problematic. Moreover, SETI still needs to acknowledge that the odds of finding ETIs is close to nil. Instead, Shostak and company are droning on about how we'll likely find traces in about 25 years or so. Such an acknowledgement isn't likely going to happen; making a concession like that would likely mean they'd lose funding and have to close up shop. I think it is a little silly to postulate that SETI has anything to concede about a field where so little is scientifically known. It just isn't true that the probabilities are "close to nil" - no scientific evidence exist for that statement, though it may be fashionable to make. 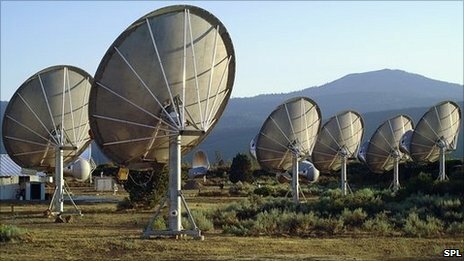 SETI will continue as long as there is enough interest to cover the costs.